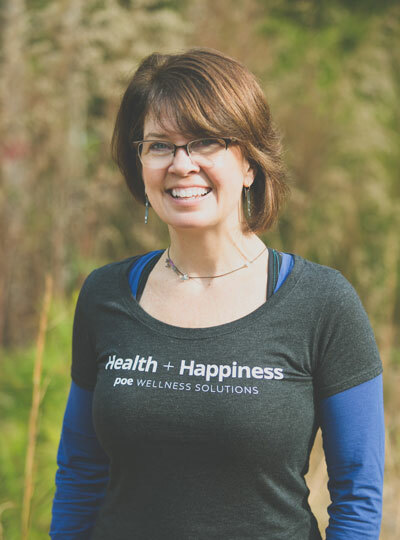 Would healthier eating and cooking at home improve your Health + Happiness? It is a constant struggle for me. Check us out weeklyish for our at home cooking adventures. Recipes are rated on Yumminess, Healthiness, Complexity, Prep Time, Overall and anything else that makes sense. 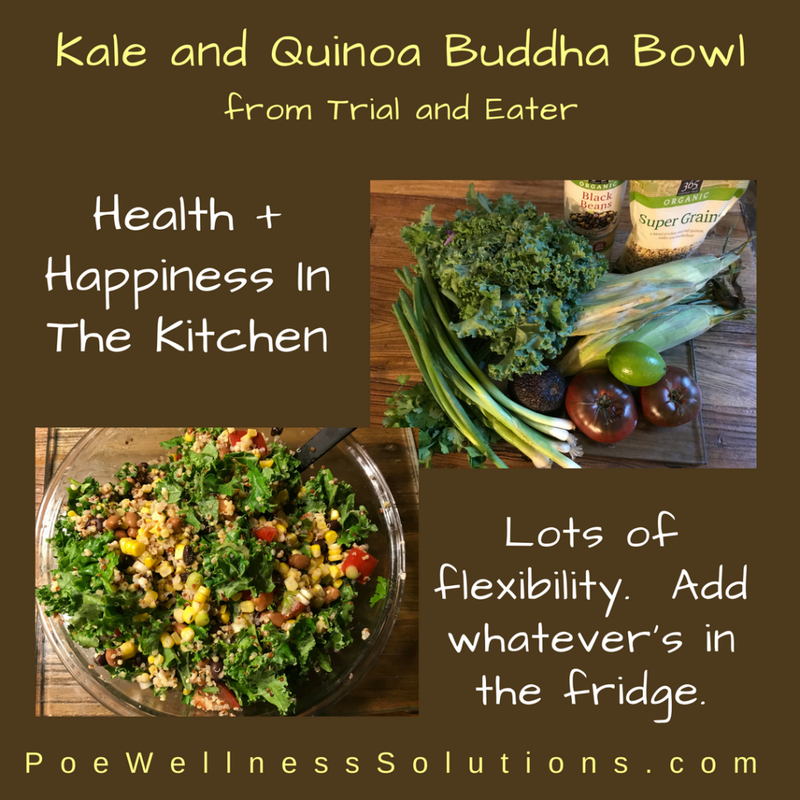 Trial and Eater provides this week’s recipe ~ Kale and Quinoa Buddha Bowl. 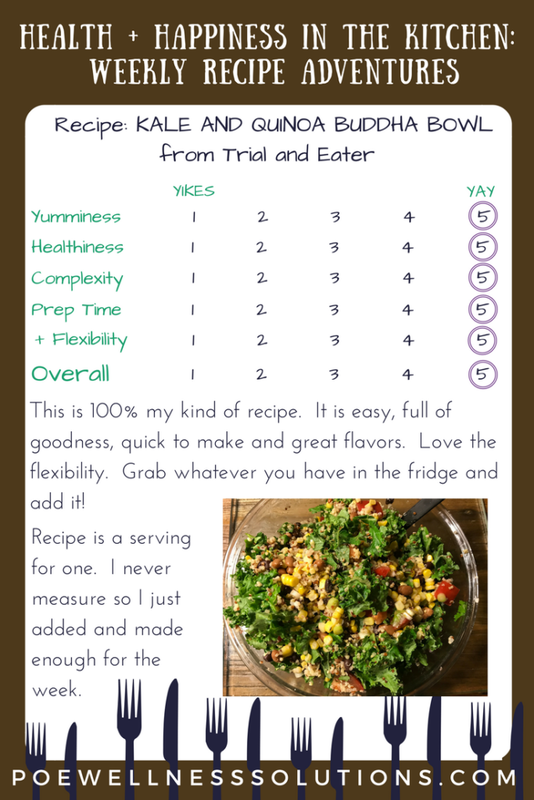 Trial and Eater is may favorite go to for good, quick and easy to make dishes. This is one of Kelly’s newer recipes. The minute I saw it, I had no doubt I was a winner! This was fabulous and super easy to make. It was my full meal. My meat eating dining partner paired it with a pork chop from the grill. He immediately declared, “We gotta have this again. It’s a keeper!” Biggest Yays … easy to make and great to eat. Not so much a lesson learned but just a friendly tip. If you can get fresh corn, use it. I roasted three ears of corn. Added tons of sweet flavor. This is a fantastic, easy to make meal. I will make it year round and add seasonal fresh veggies. As always Kelly ~ Thanks for another great addition to my meal planning!